This weekend around 80 OK Dinghy sailors from across the world will be descending on Bandol on the Côte d’Azur for the first major OK Dinghy Championship on the Med for 50 years, attracted by the opportunity of some warm autumn sailing on the blue Mediterranean, the superb hospitality of the Société Nautique de Bandol (SNB), and also to support the continuing growth of the class in southern Europe. The SNB sits just across the narrow waterway from the island of Bendor, a famous destination for the jet set in the 1960s when it was developed by the French industrialist Paul Ricard. Bendor hosted the OK Dinghy World Championship in 1969. Some of those present in 1969 will be present again this year, half a century later. In 1969 the now renowned French Olympic coach Daniel Dahon placed 15th in the 72 boat fleet and while not sailing this year he will be there helping out on the water, and regularly runs training sessions for his friends in the class. Three places higher than Dahon in 1969, a certain Jørgen Lindhardtsen, World champion in 1978 and European champion in 1998, is also making a return to these waters. Lindhardtsen is one of only two former European champions, and also one of three former world champions taking part. Bo Petersen, from Denmark, will be back to try and claim his third European title, after winning in 2013 and 2016, while world No. 1 and 2002 world champion, Greg Wilcox, from New Zealand, and 2009 world champion, Thomas Hansson-Mild, from Sweden, will be among the main favourites. Other front runners are expected to include Spring Cup winner and British champion, Charlie Cumbley, Stefan Myralf from Denmark, Danish champion, Anders Andersen, and Polish champion, Tomasz Gaj. The French fleet has been growing for several years, but now it is also beginning to attract top sailors from other classes. One of those is former Europe world champion, and Finn sailor, Valérian Lebrun, who will be taking part in his first OK Dinghy event, with an eye towards getting a boat soon. However all other eyes will be on the new Swedish champion, Fredrik Lööf. He is getting as keen as mustard on sailing the OK Dinghy and will be looking to take his first major win after placing second in the world championship in Warnemunde, Germany, back in July. He has however won every other event he has competed in since his return to the class earlier this year. Measurement and registration begins in Bandol on Monday 24 September with ten races scheduled from 26-29 September. 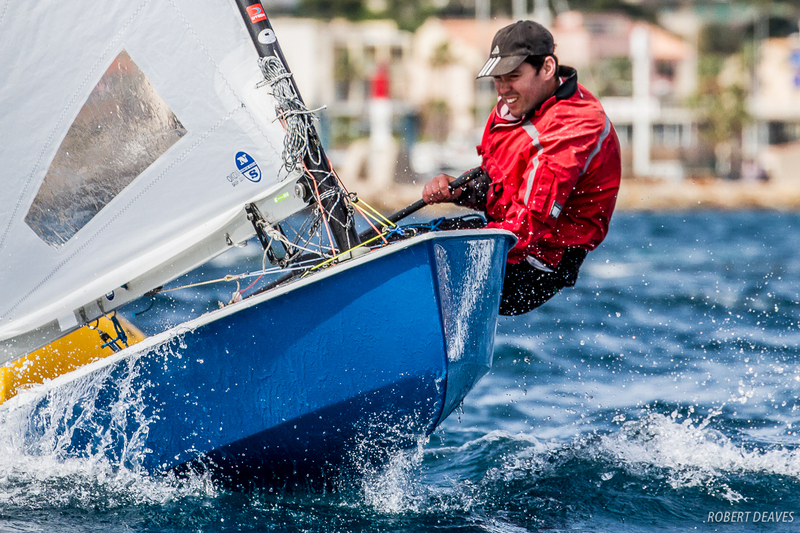 The 2018 OK Dinghy European Championship is being held in Bandol, France. Ten races are scheduled from 25-29 September. The fleet consists of 80 sailors from Australia, France, Denmark, Germany, Great Britain, Netherlands, New Zealand, Poland and Sweden. Press Releases will be issued daily with links to extensive galleries. Photos are all free of rights for editorial use.